For the past few weeks we were without one of our dizzy family favorite spinning rides, Wipeout. 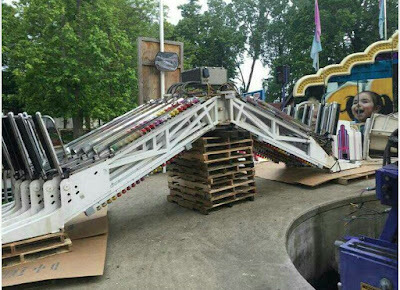 You may have seen it sitting in pieces scattered all over the ride area. 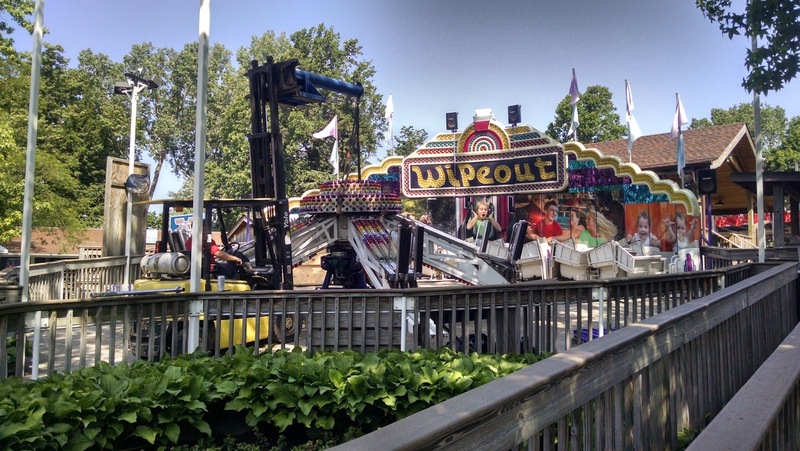 Rumors suggested Waldameer was removing the ride to send it to the scrapyard, and some even suggested we sold Wipeout to another park. Not the case at all! 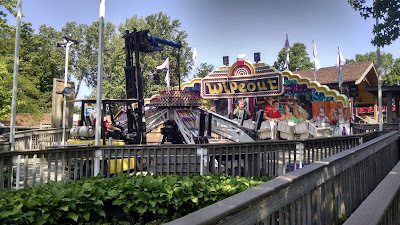 But it sure looked like we were packing up Wipeout to be moved away. 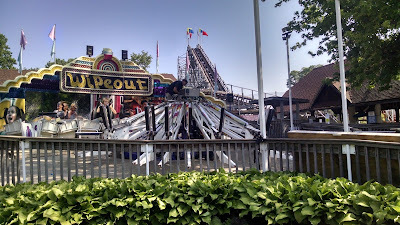 Unfortunately back in June a part, called a bearing, inside Wipeout was nearing the end of its service life. This bearing is used to make the ride spin and squish riders. Once we took apart the ride to reach this part, the waiting game began. 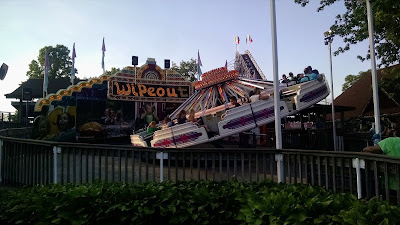 Due to the specialized manufacturing process of this part and a long trip from Kansas where Wipeout was made, we were without one of our favorite spinning rides for almost a month. Fortunately, the new bearing arrived on Friday July 10th. And our Maintenance Team quickly installed it that afternoon. This is the new bearing in place. 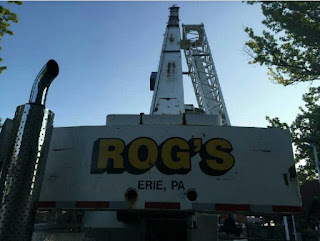 The very next morning we called our friends from Rog's to help us hoist the rest of the Wipeout back into place. 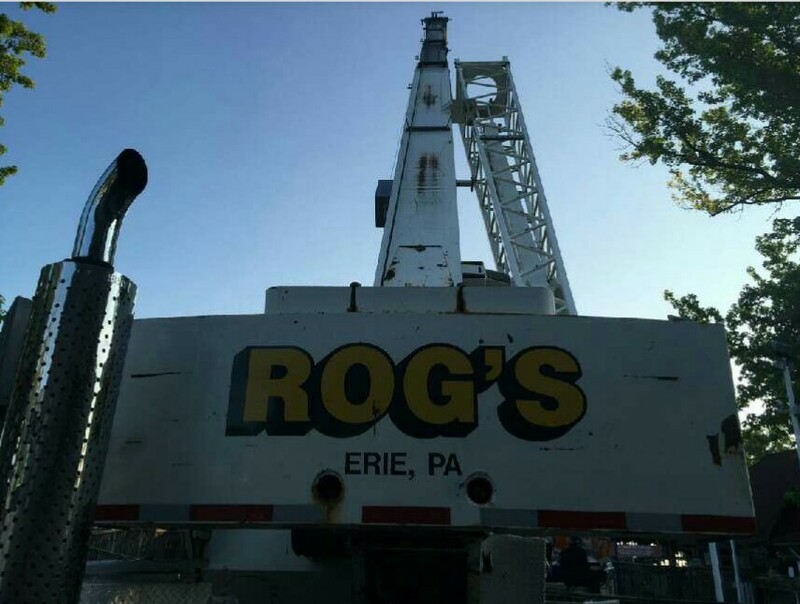 That's a pretty big crane! Once the crane lifted the ride into place, our Maintenance Team went right to work putting everything else back together. Steve hard at work getting each component back together. Our reliable forklift operator, Mike, carefully places the centerpiece back into position. 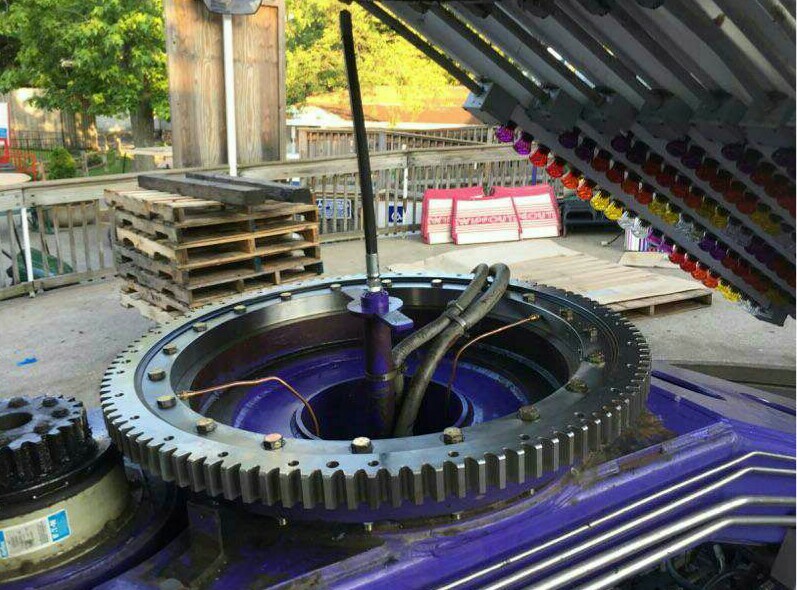 About 24 hours after the bearing arrived, we had Wipeout reassembled, inspected, tested, and ready to spin riders that Saturday evening. Thankfully those removal rumors were not true, and Wipeout is here to stay. Just make sure you ride before eating your lunch or dinner!